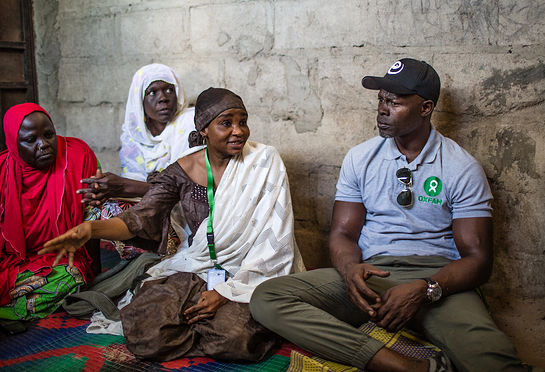 Earlier this month, Academy Award-nominated actor and Oxfam Global Ambassador, Djimon Hounsou, visited Nigeria to meet families living in desperate conditions as they face violence from Boko Haram and many other challenges. Some of the families he visited were living in camps and others had just returned to their homes and are beginning to rebuild their lives. The UN and others have declared this crisis in Nigeria and the Lake Chad Basin to be the worst in Africa right now – and that isn’t even taking into account all those suffering in areas that aid workers can’t reach. Djimon has a personal perspective on the region and its latest crisis, having grown up in neighboring Benin. While he was there he used social media to share with his followers. 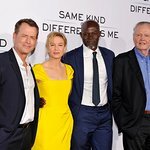 Oxfam and Djimon hope that his visit will help raise awareness and inspire compassion and action for this overlooked crisis. To find out more, visit Djimon’s Instagram.